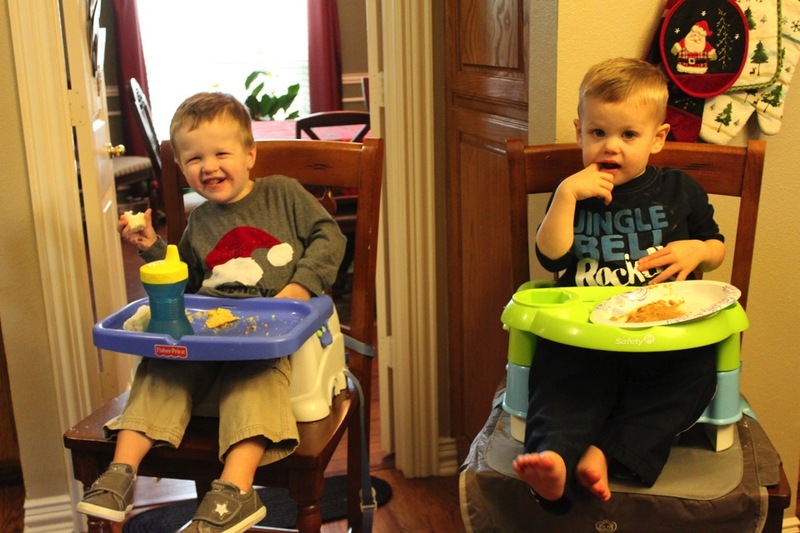 This year we did things a little bit differently regarding our Christmas plans. 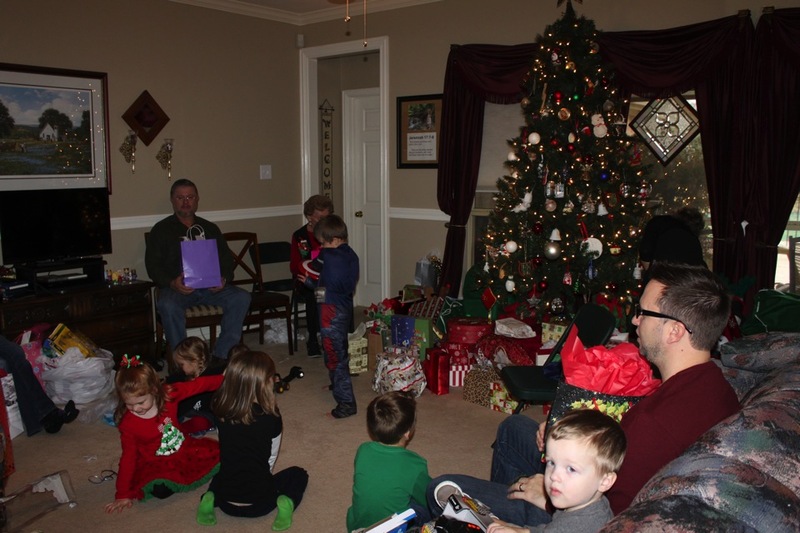 Typically we go to Texas after Christmas day. 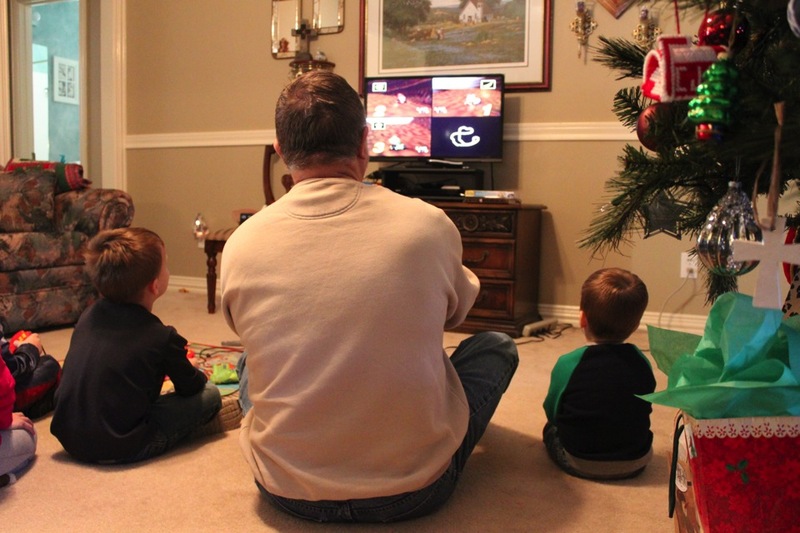 This year, however, we went a few days before Christmas and stayed until Christmas Eve. 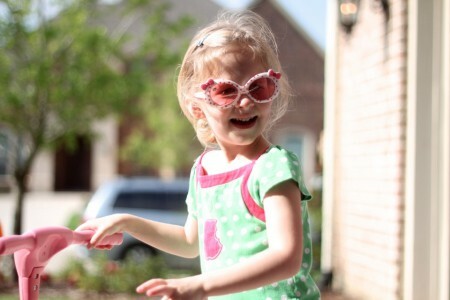 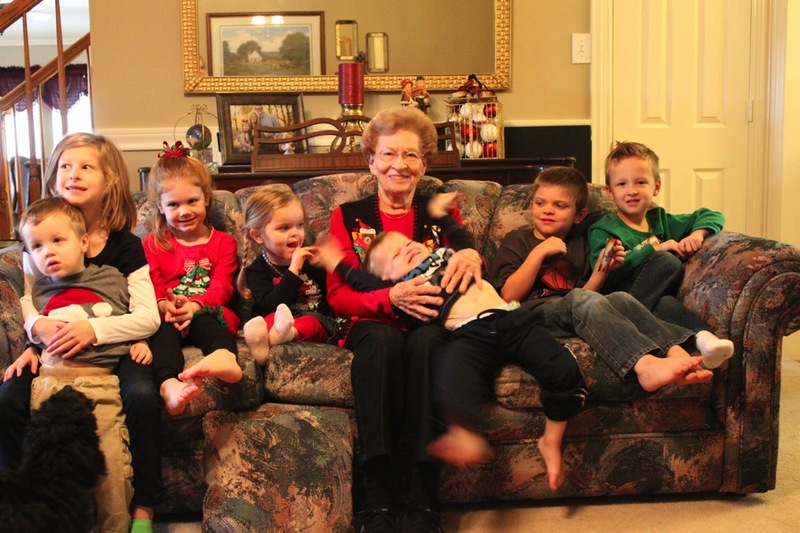 We had a great time with Robin’s side of the family! 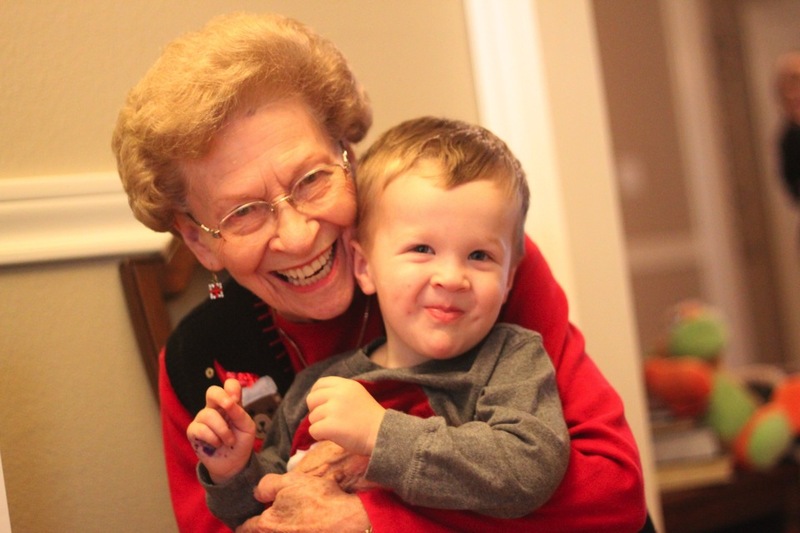 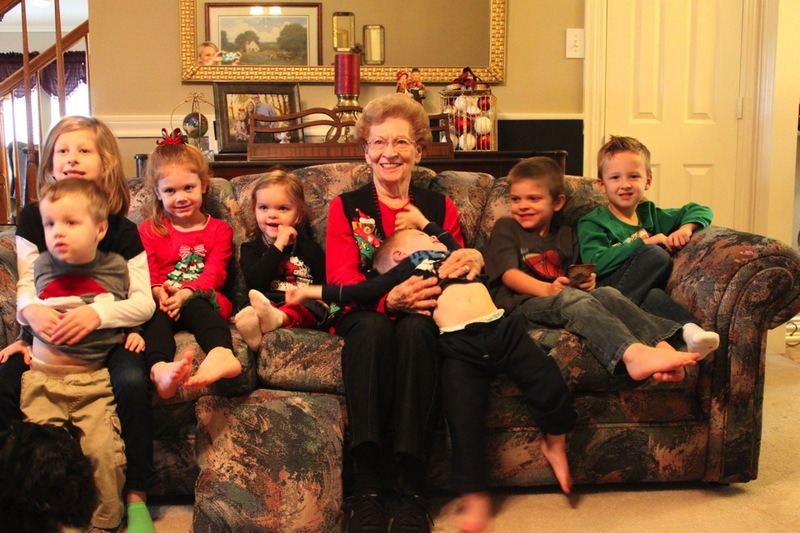 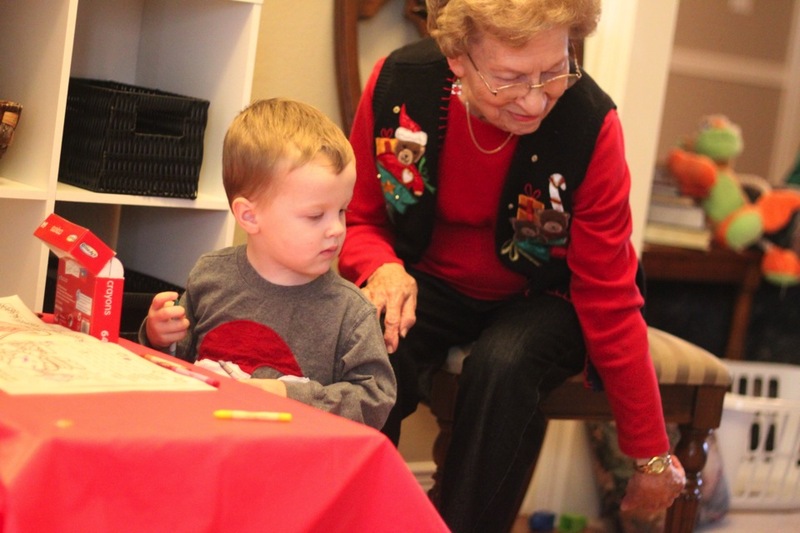 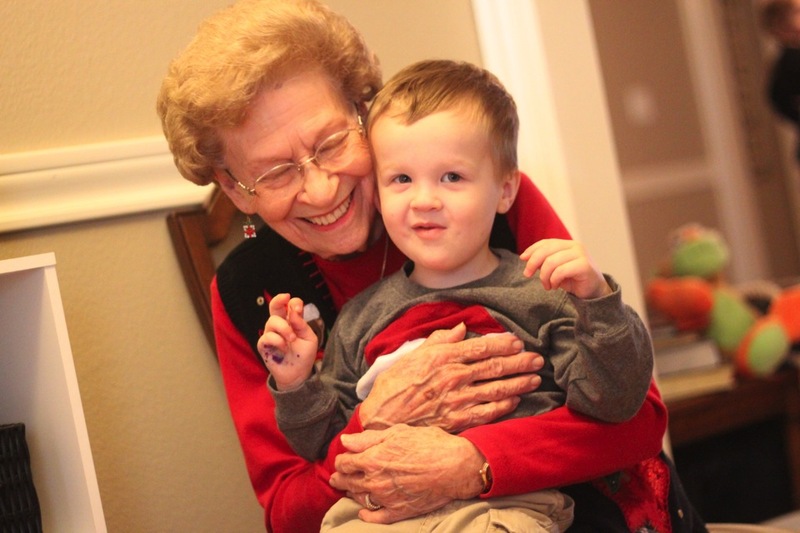 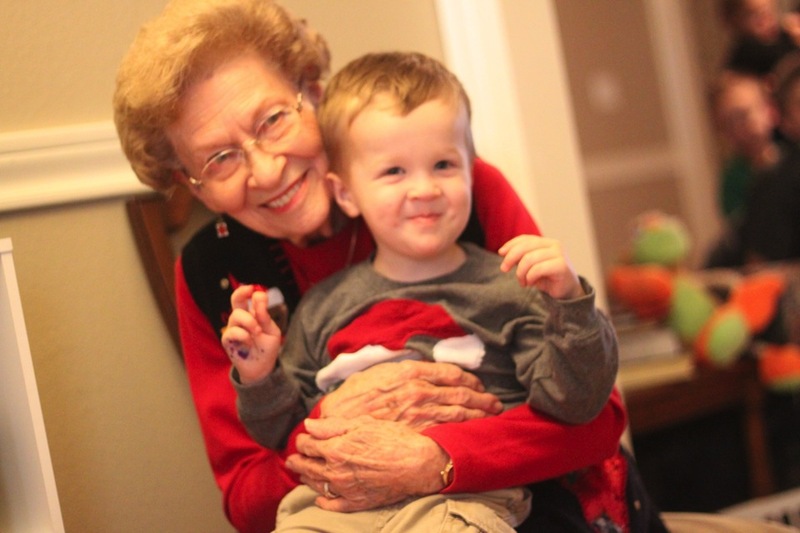 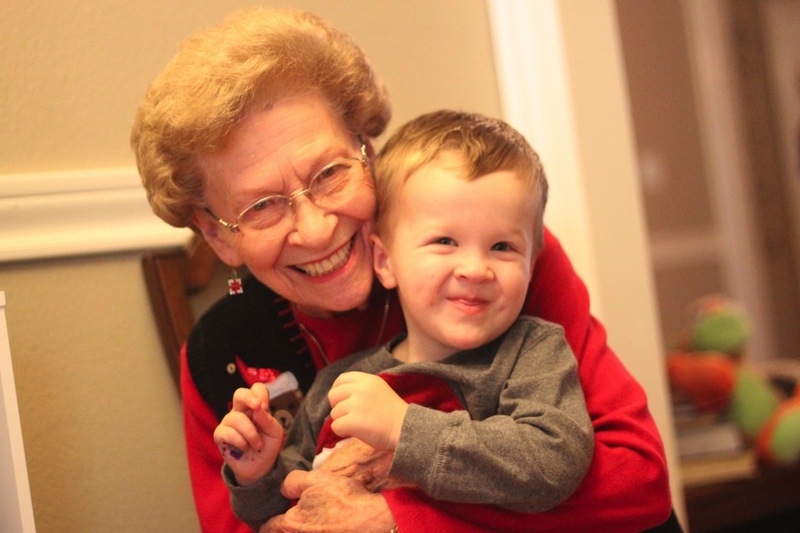 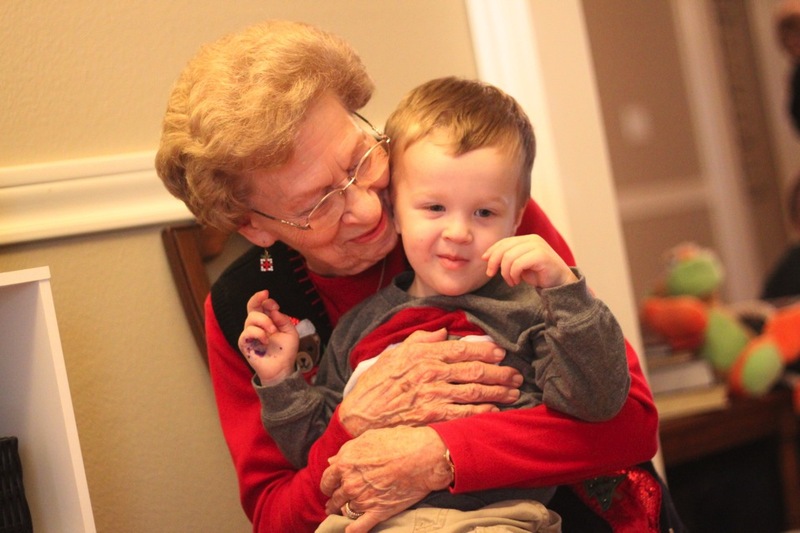 We were so thankful that Great-Grandmom got to come… she and Cash have such a special connection! 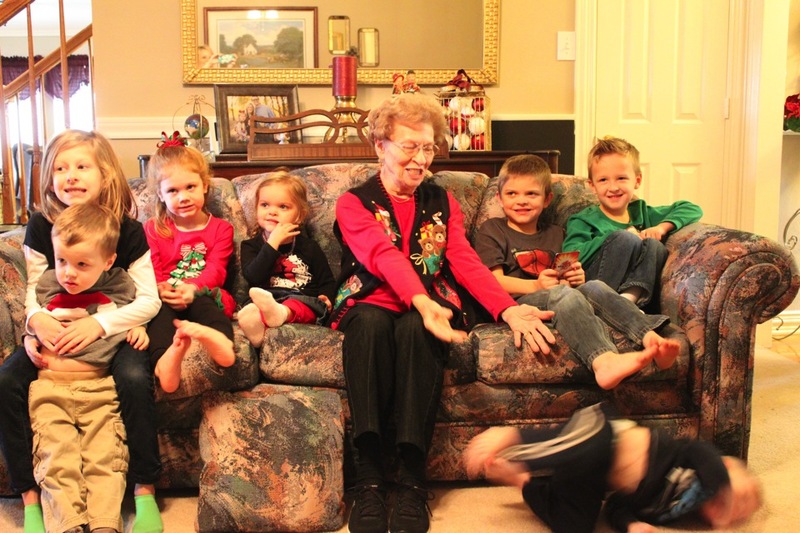 We attempted to take pics of Great-GrandMom with all of the Great-Grandkids from our family… Shepherd wasn’t a fan of the photo shoot!!! 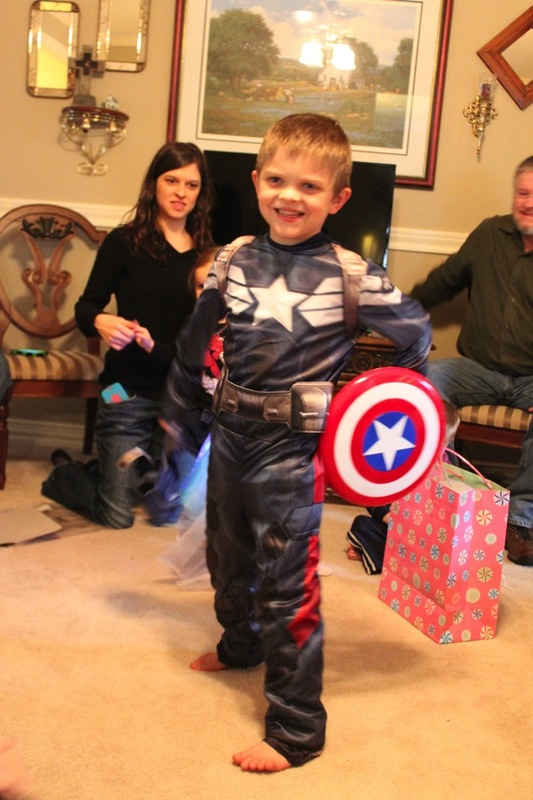 We gave Zane this Captain America costume for Christmas… he loved it!! 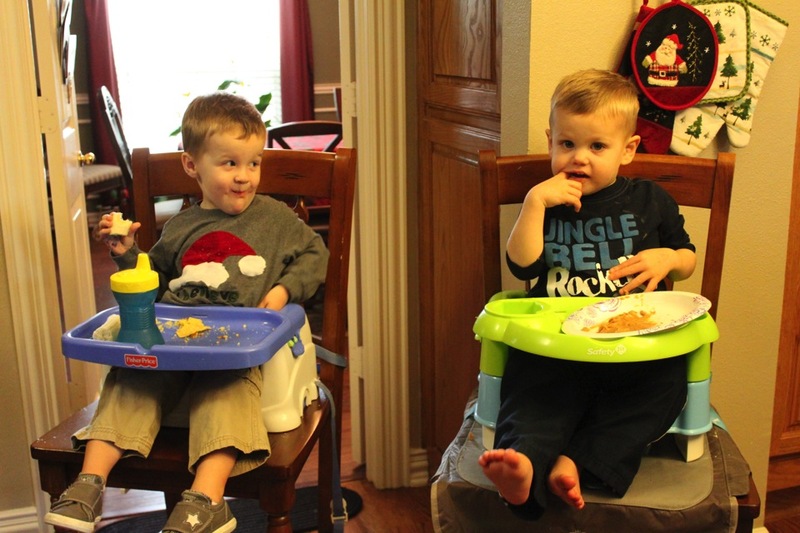 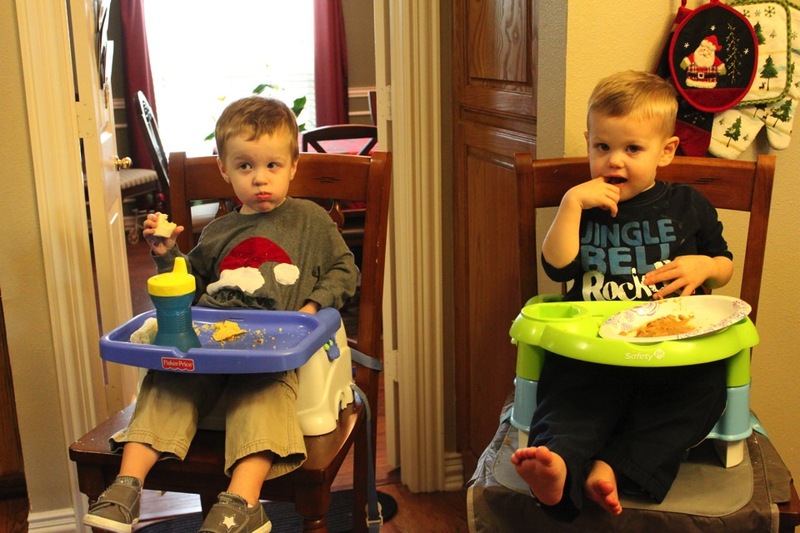 Cash and Shep… they are just 2 weeks apart! 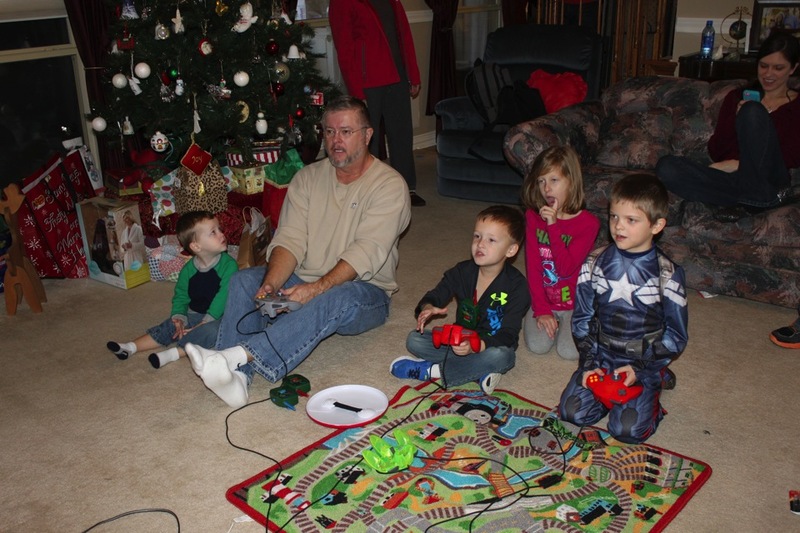 What a cool Pops… he played video games with the kiddos for quite a while.